For more than 40 years, B.A.S.S. and the grass-roots B.A.S.S. Federation Nation have remained focused on issues related to fisheries and aquatic resource conservation. The B.A.S.S. Conservation Program is a driving force behind progressive, positive change on critical water resource and access issues: Fisheries Management, Habitat, Aquatic Nuisance Species, Aquatic Vegetation Management, Angler Access and Tournament Fish Care. B.A.S.S. is more than tournaments, a magazine and a membership; it’s decades of demonstrated natural resource conservation efforts. B.A.S.S. Conservation works with government agencies to develop sound management policies that protect and enhance aquatic resources. We partner with the industry and conservation community to ensure that government policies provide for these resources without compromising sportfishing opportunities. B.A.S.S. Federation Nation members provide substantial volunteer efforts to enhance fisheries resources and protect our sport. B.A.S.S. 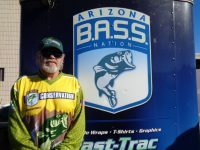 is renowned for state-of-the-art tournament fish care and the legendary publication Keeping Bass Alive.